During my 2 days at Disneyland last week, I was able to see the incredible (and I mean incredible!!) 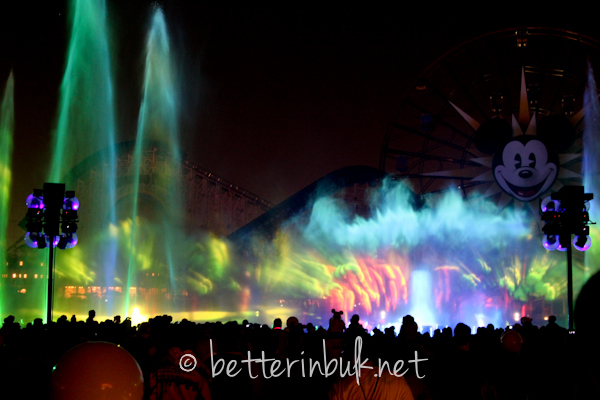 World of Color water and light show at Disney’s California Adventure Park. 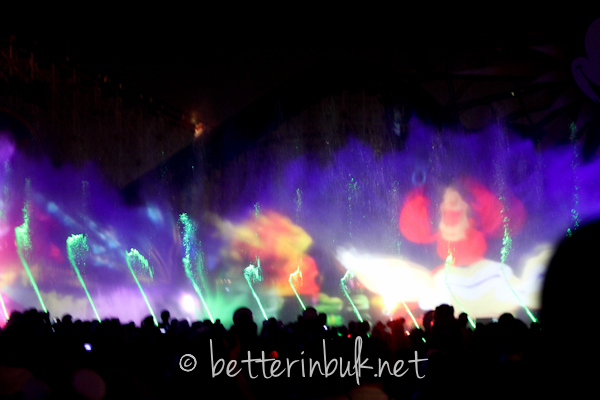 World of Color is part water show/part laser light show. 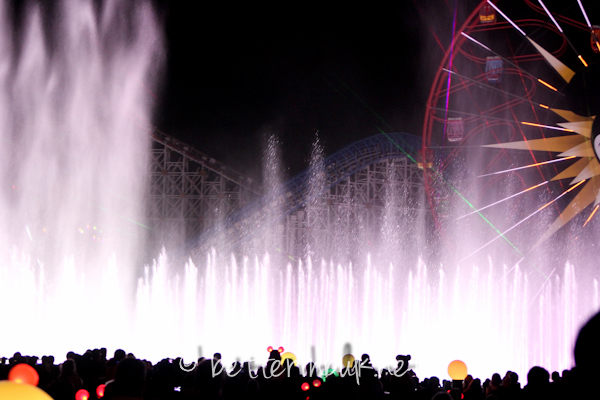 Add in some Disney music and magic and a little bit of story telling…and World of Color comes to life. 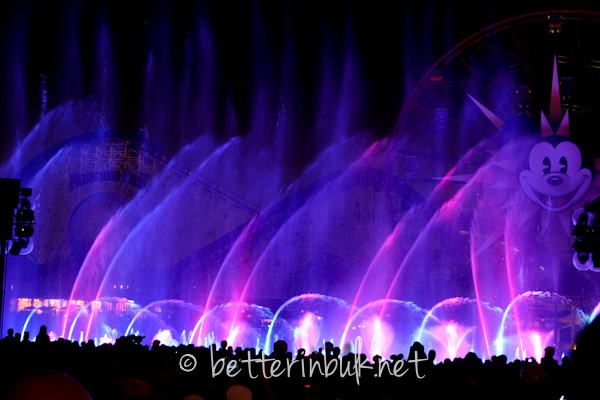 The World of Color nighttime water spectacular weaves water, color, fire and light into a kaleidoscope of fantasy and imagination. 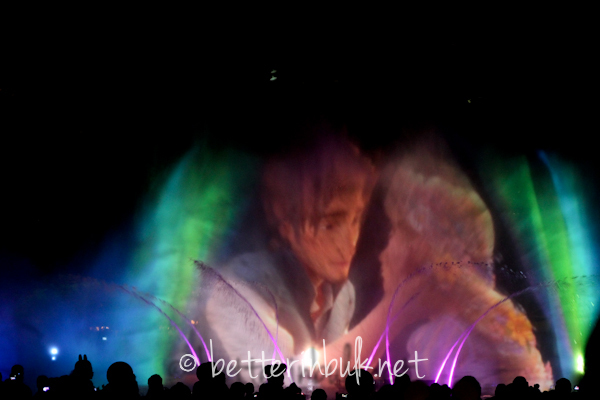 More than 1,000 jets of water form incredible shapes in time to the music as Disney and Disney•Pixar characters come to life on a shimmering veil of mist. I watched the entire show through my camera’s lens. I was just too fascinated by all of the color and designs to miss any of it. The pictures, though pretty fun, don’t do the show justice. There’s nothing quite like being there, feeling the mist of the water, the heat of the fire, and the beat of the music. It truly is a whole-body experience, and one I can’t wait to experience again. Disclosure: My trip to Disneyland was part of an expense-paid trip to LA to cover the premiere of BRAVE as well as the opening of Cars Land. All thoughts and opinions are my own. 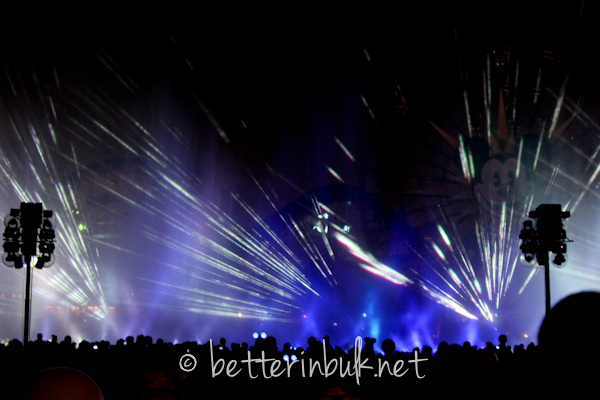 That looks like a fun water and light show! 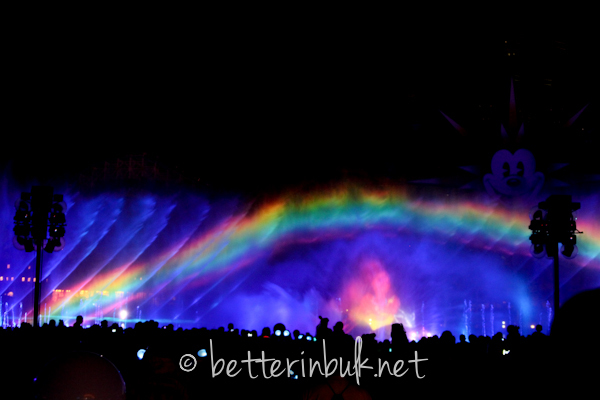 I have been to Disneyland and California Adventure Park about 3 and 1/2 years ago…but I didn’t see any water and light shows like this. It looked cool. Thanks for sharing!